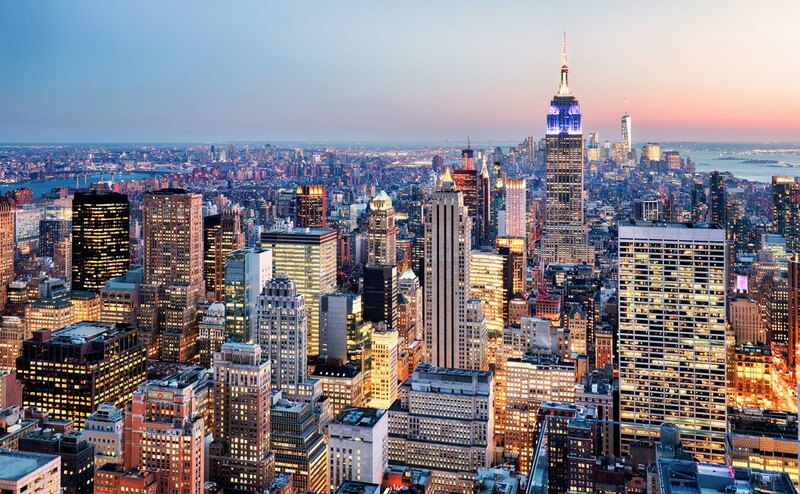 Wall Street and Fortune 500 clients drive corporate business for most New York law firms, a completely understandable position given the city’s status as the world’s leading financial center. We would like to posit an alternate path for corporate lawyers and law firms in the Big Apple—one that’s far more common on the West Coast than in New York: a focus on emerging growth companies and venture capital. Although Silicon Valley gets most of the attention in this practice area, New York City is no sideshow. For lawyers with an entrepreneurial streak and who hope to build their own books of business, an emerging company focus can blaze a clear path to future career success (and, dare we say, happiness). Law firms, too, can win by building practices that capitalize on the emerging company market, and by attracting clients who, as they mature and grow, are often loyal to the firms who bet on them early. Let’s consider a few facts. According to recent Money Tree reports on venture capital investment, VC spending has been rising rapidly in New York City. The market is No. 2 in the United States, behind the San Francisco Bay Area, with more than $7 billion in VC funding in 2016 and just under $5 billion in the first two quarters of 2017. New York-based startups like Group Nine Media, which owns Thrillist and several other digital media properties, online mattress retailer Casper, and Peloton, the digital spin-class and fitness bike seller, have all raised more than $150 million from VCs this year alone. In a pair of deals over the summer, WeWork, whose shared office spaces house a host of startups across the five boroughs, pulled in a stunning $1 billion to expand in China, South Korea and Southeast Asia. That’s on top of the $200 million in VC funding it received in 2016. Many of the players scoring significant investments have a distinctly New York flavor. Media, advertising, real estate, fashion and lifestyle companies have been generating strong VC interest. The makeup of the city’s workforce, with its marketing and finance expertise, is also driving start-up activity, as is a business climate that is open to international companies and overseas customers. Such a large and growing start-up community is a relatively new phenomenon for the city. Despite New York’s status as a financial leader, its tech startups have long competed for East Coast venture money with the Dulles Corridor near D.C. and the Boston area’s university-adjacent tech sector. Suffice it to say, this new vein of corporate activity provides great opportunity for many lawyers and firms —provided they have the right mindset and practice skills. The emerging company practice requires sophisticated business acumen, as well as practice knowledge that cuts across several disciplines. Start-ups need trusted counselors who can help them navigate through a host of corporate issues, from venture financing, to commercial contracts, to strategic mergers and acquisitions and initial public offerings. Building a close corporate relationship with a start-up client also can yield work for other key practices. Emerging companies often have complicated employment and executive compensation arrangements around stock options; intellectual property disputes are common; and corporate governance and regulatory issues will arise – particularly if the company plans a public offering. Here’s the caveat. Lawyers and their firms will need to be flexible about their rates if they want to attract start-up clients. Few emerging companies will be willing (or able) to spend $1,000 an hour on legal help. This may be a particularly sensitive issue for lawyers at firms that have a stable of institutional clients paying premium rates. Their firms may not want to dilute their rate cards by taking on emerging companies. Whatever the firm’s size, its management and lawyers must recognize that representing an emerging company is an investment in the future. Firms that cut a company a break in the early years often come out ahead later when their client is well-established, public, and paying top rates. As those companies grow, they also can help firms attract talent at both the partner and associate levels. For partners, rate issues may mean making a tough – though, we believe, ultimately rewarding – choice: Should they leave their firm for one that can provide greater rate flexibility and support? We recently helped a partner move from an Am Law 100 firm to an Am Law 200 firm for just this reason. The partner wanted to be more entrenched in the emerging company practice, but he wanted to charge lower rates to be competitive and to improve profitability by joining a firm that is accustomed to this model. By making a move, he is now building a stronger book of business, and his new firm is grabbing new clients and carving a deeper niche practice. Our client isn’t alone. The market for laterals with emerging company practices is heating up. We are seeing New York-area partners moving to Am Law 100 firms because their emerging company clients are getting bigger and are requiring larger law firms to handle their work. Others are making strategic moves to more flexible smaller firms, and some are relocating from more traditional New York corporate firms to players with well-established technology backgrounds. Among the most recent moves have been Randolph Adler Jr. and Michael Chung, who took their six-person emerging practices and start-up group from Dentons to Fox Rothschild. (Fox Rothschild “is national and aggressively focused on the middle-market. They’re not trying to do these multibillion-dollar, cross-border transactions,” Adler told The American Lawyer after the move.) Fenwick & West, a Silicon Valley stalwart, opened an office in New York in 2016, and recently attracted Ethan Skerry, a prominent technology and life sciences deal lawyer, from Lowenstein Sandler. Two other Lowenstein lawyers with emerging company practices have also moved to firms with strong tech and corporate backgrounds: Charles Torres joined Perkins Coie, and Peter Fusco moved to Orrick Herrington & Sutcliffe. Orrick’s David Concannon, who advises emerging companies and venture capitalists, jumped to Latham & Watkins. And Joe Daniels, best known for his work with early-stage technology, life sciences and consumer companies, has moved from Sheppard, Mullin, Richter & Hampton to McCarter & English. The benefits of moving to an emerging company practice aren’t limited to partners. Associates are uniquely well positioned to capitalize in an emerging growth or start-up environment. Often, they are of the same generation as the entrepreneurs who are launching new tech businesses, and they may have opportunities to connect with potential clients simply by mining their social contacts. Even before making partner, they can break out and grow a book of business. In Silicon Valley, of course, this kind of move is nothing new. VCs invested roughly $25 billion there last year, and associates and partners have a long tradition of picking up early-stage clients and reaping immense rewards when the company matures. Take, for instance, David Drummond. In 1998, he was a young Wilson Sonsini Goodrich & Rosati partner. That year he started working with a pair of students from his alma mater, Stanford University, handling legal matters for their start-up. It just happened to be a new search engine called Google. Twenty years later, Drummond, the company’s first outside lawyer, is the chief legal officer for Google’s parent company, Alphabet, and, by some accounts, he’s the most powerful lawyer in Silicon Valley. His estimated total annual compensation? More than $40 million. Not every company will become a Google, of course. Yet for corporate lawyers who yearn to have more control over their own destinies and for law firms that want to develop deep and lasting client relationships, pivoting to an emerging company practice can yield rich rewards. And New York has become an excellent place to make just that kind of move. Ross Weil is a partner, and Taylor Miller is a managing director of Walker Associates, a New York-based legal search firm.